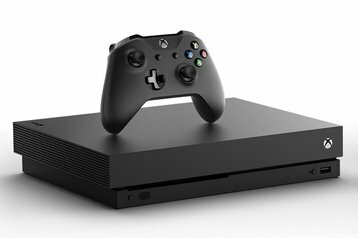 Microsoft has announced Project xCloud, a game streaming service that aims to bring Xbox titles to any compatible screen via cloud computing. The concept is not exactly new - with its primary gaming rival Sony offering a similar service, PlayStation Now, for some time - but Microsoft hopes that its large data center footprint will give it a unique edge. Key to Project xCloud is a new custom blade server that hosts the internal components of four Xbox One consoles, and associated infrastructure. "We will scale those custom blades in data centers across Azure regions over time," Kareem Choudhry, corporate VP of gaming cloud at Microsoft, said in a blog post. For now, the company is housing some racks in its data center in Quincy, Washington. "Cloud game-streaming is a multi-faceted, complex challenge," Choudhry said. "Unlike other forms of digital entertainment, games are interactive experiences that dynamically change based on player input. Delivering a high-quality experience across a variety of devices must account for different obstacles, such as low-latency video streamed remotely, and support a large, multi-user network." The company said that Microsoft Research will work on "ways to combat latency through advances in networking topology, and video encoding and decoding." Current tests run at 10 megabits per second, and public trials are expected sometime next year. The news comes just days after another cloud giant announced that it was entering this space - on October 1st, Google revealed Project Stream, "a technical test to solve some of the biggest challenges of streaming." Requiring speeds of 25 megabits per second, the trial allows participants to play Assassin’s Creed Odyssey over an Internet connection. While the initial test is small-scale, it follows persistent rumors that Google is looking to develop a game streaming service codenamed Yeti, that would stream to Chromecast and other devices. In January, the company hired Phil Harrison, who once ran Sony's game studios (where he helped spearhead the ill-fated virtual social network PlayStation Home), and spent three years at Xbox. But it is PlayStation that has remains the biggest competitor to Xbox. For this console generation, Sony has consistently maintained the lead with an estimated 73.6 million PS4s sold to 29.4m Xbox One units by the end of 2017. Sony has also pushed forward with its own cloud gaming service, acquiring game streaming startup Gaikai for $380 million in 2012, and relaunching it as PlayStation Now. The service originally offered access to PlayStation 3 games which, due to the unique architecture of the PS3's Cell Broadband Engine, required their own custom servers. Since then, Sony has expanded its offering to include PS2 and PS4 games, however it is unclear just how successful the service is, or how large a data center footprint PS Now requires. Sony has declined several requests for comment. There are other digital companies that dream of creating the game streaming service of choice, despite the limitations of latency, and hardware costs. Nvidia offers GeForce Now, while French cloud gaming start-up Blade runs its Shadow service from Equinix data centers. None have managed to secure a significant share of the market, but there seems to be hope that as network speeds increase, these businesses will be ready to serve customer needs - like Netflix with its video streaming service. Yves Guillemot, the CEO of games publisher Ubisoft, said earlier this year that the next generation of consoles could be the last, telling Variety: "With time, I think streaming will become more accessible to many players and make it not necessary to have big hardware at home. There will be one more console generation and then after that, we will be streaming, all of us." His comments were echoed by the CEO of Grand Theft Auto publisher Take-Two, Strauss Zelnick, who said that there are a few large-scale companies "that have hyperscale data centers all around the world," and that the widespread streaming of games could "happen in one to three years."